I, too, would like to consider myself a Christian whether a good one or not. I do follow many of our traditional ways as an NDN. I can NOT unserstand why we are limited to only one little piece of the pie. Why can't we have the whole pie. This limiting is a European "White folks" method of limiting God to a small role. I personally believe Our God is much bigger than You are limiting the Creator. I can smudge, Sweat, use my Eagle and cedar/sage along with a prayer as I use the Name of Jesus Christ in the Prayer. I will occassionally lead a stomp dance, I Gourd dance, I am an InLonshska society for Pawhuska, I am a Veteran who honors God that our Warriors can honor God wether or not we return home in one piece. IF, you have a problem with beling preached to in any Language, I recommend that you never go to an Osage, Cherokee, Kiowa etc event whe an honored Elder is requested to speak to God for us whether in our language and/or in English. I guess I have said all of this to say why are YOU limiting God and everyone elses ways of honoring our God? Most of all I need to say Thank you God for allowing me and my family for being NDN and not limiting God or putting God in a box. Hope Gaia Sis will hear them..........and all the others that tell us why they think we aren't being "cultuarlly correct" in their eyes.....and ears. Put a bit of tobacco, sage, sweetgrass, and ceder into a shell, light it on fire blow out the thing and let it smoke like crazy and you have a good smuge. Let's see...... The priest at church puts this insense stuff into some sort of a ball looking thingy with holes hanging on a fancy chain. Lights it on fire, blows it out and it smokes like crazy and you have a catholic smuge. Is there some sort of difference????? Because we use natural and not chemical things in our smuge, does that make us lesser people or worse.......... Heathens???? Let's see.... Same God.... Right??????? OL Chemist, is it fair of you to paint me as a Lola Granola, anti Christian, European because I voiced my disappointment with the differences of the first Powwow I have been able to attend in the SE after growing to enjoy those I had attended 7 years previously in Colorado. OL, I did have an expectation and it was of those Powwows I had attended at the field house in Ft Carson; or Delta CO; or the public site set aside for Powwows north of Castle Rock; or at the Denver Arena. I expected there to be a difference so I emailed the representative and called the person she suggested. In both cases I was told to expect it to be much better: “It will knock your socks off”, “We do all those dances and more”. It wasn’t until I posted my question here that I was told that a Powwow is not a ‘spiritual event’. This is your perspective. The ones I attended in Colorado were indeed spiritual for me, as I believe they were to the majority of those who attended and participated. For the last 6 years I have listened to the Garifuna on Roatan drum and sing and dance and blow the conch ~ when you hear this during a storm that has knocked out the electricity and is making the palms bow, it is spiritual! It was so for me because it connected me in a very small but real way to the ancestors of those people and what they found their strength in. I think it does them as well. They too are Christian, but they leave it aside while they become grass roots African again. Kiyaanii, I think I have respect for things that are different, otherwise I would not have elected to live in a place so very different that many of your could not imagine just how different it is. Many of you have made the assumption that I am not an Indigenous American! And it seems to have been done so more from my beliefs, than from blood. Yes, I called myself a Gringa, because I have lived in Honduras for the last 6 years and that is what I was to Honduranos . Now I find my time better spent on trying to help them in their battle against US interference in their democracy than trying to discuss a misunderstood Native American experience. I am real sorry that I upset you with my inability to respectfully explain and my misunderstanding of your sensitivities. Lastly, Kiyaanii mom, we waited until the PRECHING had ended; the staff was planted and the Grand Entry Entourage had exited the circle before we walked out. I appreciate all the consideration all of you have give me and my ideas. Oh, the private message did not come through on my machine because of my pop up blockers. I'm gonna propose my $0.02 worth here...think about it! How many times have we all witnessed something that we did not understand? As a native man who believes himself to be both a traditionalist and Christian, I can tell you this happens all too often! For us (or, maybe I should say myself...chew on these words and let me know which it is...) this is a matter of life-style. Growing up in the communities you see and learn things without ever knowing you learned them. I have been singing for over ten years now. I've been around the drum long enough to be the "newbie" and now to the point where we have our own little ones with us. There are numerous times I've set back and watched my nephews at the drum act/behave in such a way that make me smile...or just shake my head. Learning is always going on even when we least expect it...and whether or not its the appropriate thing to pick up. Watching my grandfather, who has now crossed over about fifteen years ago, I always gotta kick outta watching/helping him in the field. This one time when I was less than ten, I followed behind him in the field spreading "soda" next to the rows. When I was done, I just new I had done a "GREAT JOB"! About a month or two later, I learned it was not such a great job! The crop that grew was very healthy. The crop that did not grow was "burnt". Through out the field, you could see a natural progression of healthy to dead crop. What a lesson learned! I got chewed out with the rest of the grandchildren. It was directed to me, but all of us had to hear it. The point I am trying to make is that just because you feel you did not need to hear this "sermon" does not mean someone else didn't need to hear it! You never know what events lead up to that moment for the individual who spoke, or as you said "preached". Age is not a factor in this case...but keep in mind that every elder has a right to speak/teach the lessons that are on their heart. In our way, this is God moving through us in some form or fashion. And I said "age is not a factor in this case" because there have been a few times I was given the "boldness" to correct (in my mind) an elder. It was not the most pleasant thing in the world to do...but, it had to be done the elder had spoken out of turn with limited experiences and biased thoughts/feelings. These words were not meant to be an attack on you...but more/less exposing you to a way of thinking/acting that may be a bit foreign to you. 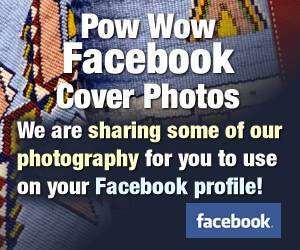 A lot of people have thrown out some heavy stuff your way with regards to pow wows being a social function. Yes...in some instances, there are those of us who become engrossed in "spiritual" essence. For others, not so much. Most pow wow committees host events as a fundraiser. They have put together a venue for those to have that "spiritual" essence and/or to fellowship. What a person does (who participates or attends to spectate) is totally up to that individual as long as we meet the expectations of that committee. "When in Rome, do as in Rome!" And remember, true native way of thinking is about putting others first and ourselves last! I have been trying to put this thread behind me, because I feel that the original poster had no respect for OUR opinions, even though we were asked. Most true NDNs do not go to powwows for spirituality. That is a private matter. Only nonNDNs want the spirituality. Last edited by kiyaanii mom; 09-28-2009 at 12:18 PM..
Everyone slips up now and then. Not a big deal. Where did anyone get the idea that a powwow is a spiritual thing???? We are no different then any other group of people. We celebrate our CULTURE at powwow. If you want to pray, that's fine. I'm sure some other cultures pray at their cultural events too. About the only difference we have is other cultures allow alcohol served at their events. Never been to a powwow with a bar. Been powwowing all my 50+ life. Yup!!!! And 9s are always to the MAX!!!! I aske because uh...I dont think ive been to a contest powwow where Ive felt some how spiritually uplifted...BUH!! I asked cause I was curious how someone felt that a contest powwow is spiritual? I am not christian. I am a Native Woman and in our family we follow our traditions. What I find offinsive is NOT that some of my people chose chriatianity, but that you gaia sis, someone who is NOT Native come here to our site and preach to us about how things should be done at our gatherings. Your attitude is no different then that of the jesuits hundreds of years ago. Take your rightous new age mumble of spiritual ideas that you have appropriated from various cultures to some other site. This is what happens when white people mess with NDN stuff! This just hit the news at my server yesterday! PRESCOTT, Ariz.— Two people who died after sitting for hours in an Arizona spiritual resort's sauna-like sweat lodge were identified Saturday as a 40-year-old Wisconsin man and a 38-year-old New York woman. James Shore of Milwaukee and Kirby Brown of Westtown, N.Y. died Thursday night after being overcome in a sweat lodge during a spiritual cleansing ceremony. Nineteen others were taken to area hospitals, suffering from burns, dehydration, respiratory arrest, kidney failure or elevated body temperature. Most were soon released, but one remained in critical condition on Saturday. Authorities haven't determined what caused the deaths and illnesses, but ruled out carbon monoxide poisoning. Yavapai County Sheriff Steve Waugh said Saturday his detectives are focusing on self-help expert and author James Arthur Ray and his staff as they try to determine if criminal negligence played a role in the deaths. Waugh said Ray refused to speak with authorities and has since left the state. No charges have been filed. "We will continue this investigation down every road that is possible to find out if there is culpability on anybody relative to the deaths of these individuals," Waugh said. He said it could be three to four weeks before they knew if criminal charges would be filed. The resort is owned by Michael and Amayra Hamilton, who have declined to comment. Ray's most recent posting on his Twitter account said he was "shocked and saddened" by the tragedy. "My deep heartfelt condolences to family and friends of those who lost their lives," he wrote. "I am spending the weekend in prayer and meditation for all involved in this difficult time; and I ask you to join me in doing the same. Ray's company, James Ray International, is based in Carlsbad, Calif. His publicist, Howard Bragman, declined Friday to speak about the deaths, and didn't return a Saturday call from The Associated Press. Ray rented the Angel Valley Retreat Center just outside scenic Sedona to hold a five-day "Spiritual Warrior" retreat that promised to "absolutely change your life." Ray has held similar retreats at the resort in the past. Participants, whose ages ranged from 30 to the 60s, paid between $9,000 and $10,000 to attend this year's event. Between 55 and 65 people were crowded into the 415-square-foot sweat lodge during a two-hour period that consisted of eight 15-minute rounds and various spiritual exercises led by Ray, Waugh said. After each round, the flap to the crudely constructed structure was raised to allow more heated rocks to be brought inside. Authorities said participants were highly encouraged but not forced to remain in the sweat lodge for the entire two hours. The participants had fasted for 36 hours as part of a personal and spiritual quest in the wilderness, then ate a breakfast buffet on Thursday morning. After various seminars, they entered the sweat lodge lightly dressed at 3 p.m.
Two hours later, a woman dialed 911 to say that two people, whom Waugh identified as Brown and Shore, did not have a pulse and weren't breathing. Autopsies were conducted on Friday, but the results are pending additional tests. Sheriff's Lt. David Rhodes said authorities are looking into whether there was a lag time between the first signs of medical distress and the emergency call. James Arthur Ray: James Arthur Ray | Create wealth in all areas of your life: Financial, Relational, Mental, Physical and Spiritual.